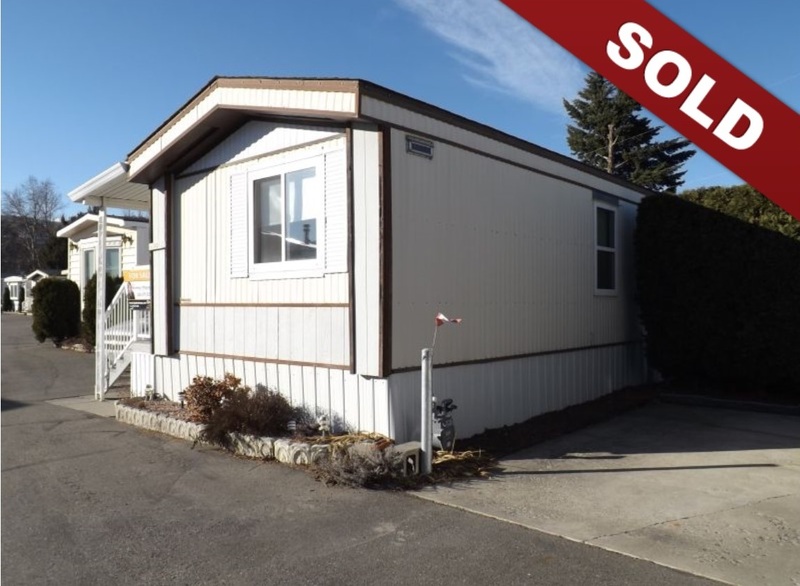 New Listing: 6 Mars Drive, North Kamloops, Kamloops, BC $35,000. Riverdale Mobile Home Park in the centre of the City … close to shopping, recreation and transit on both North and South Shores! Very bright mobile has bedrooms at either end providing a spacious open-concept main living area. Master has ensuite with oversized step-in tub and walk-in closet. Updates include furnace (2006), roof (approximately 11 years), hot water tank, flooring and some windows. Includes 5 appliances and central air. Enclosed porch great for entertaining or additional storage. Larger grassed yard offers room for gardening and has storage shed. Parking for 2 vehicles. Park is 55+, no rentals and no pets allowed. Park does not sign Site Lease.